As women continue to play a critical role in conservation in Africa, one group of community-appointed wildlife ambassadors in Northern Kenya are doing their bit to help save the world’s largest land mammals, the elephant. 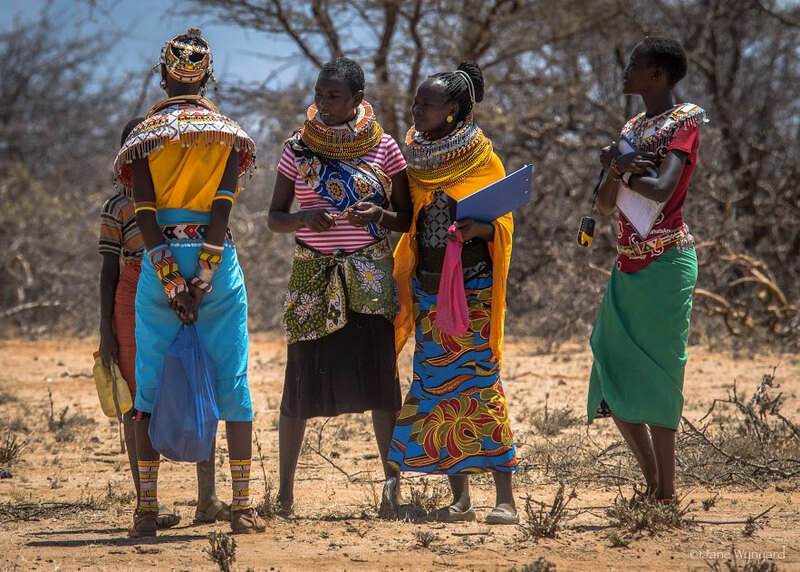 The Mama Tembos - a group of nine women from Samburu and Turkana are working with Save The Elephants and the Kalama community conservancy to guard wildlife and livestock corridors in Northern Kenya. Not only is their work having a positive impact on the future of elephants, but it’s also influencing the hearts and minds of those who live among these iconic creatures. In just five months, the Mama Tembos, (meaning Elephant Mothers, after the famous Mama Simbas of our local conservation partners Ewaso Lions) have made their presence felt far and wide. Armed with GPS tracking devices and data folders, they’ve collected valuable data on wildlife movements, alerted community authorities to the construction of illegal bomas and settlements that could potentially block wildlife and livestock movements through the corridors, and engaged with local communities on the importance of safe passageways for wildlife. All of this activity is crucial in helping secure a future for wildlife, in particular elephants, who use these corridors as safe passageway to find food, water and mates. More than twenty years’ worth of tracking elephants and analysing their movements has helped STE identify key corridors for elephant movement in Northern Kenya, including four wildlife corridors that cross the main highway to Capetown-Cairo. And now, the Mama Tembos have taken up the mantle as guardians of these crossings. And it seems their work is paying off. Supported by Singleton Rankin’s WorldWomenWork and Ivory Ella, the mamas are quickly gaining the respect of their respective communities and local government with people now starting to report wildlife sightings directly to the women. In a male-dominated society like Turkana and Samburu and other pastoral communities where the role of the women is to fetch firewood, water, maintain the homestead, look after children and tend to the livestock, this is an encouraging step forward for community conservation. The women, who were chosen by their communities, come from very different, often conflicting tribes. They barely knew each other before the project began yet five months’ on, they are firm friends. They patrol the corridors, which Save The Elephants has helped communities identify and mark with pillars, twice a day - early morning and late afternoon - recording animal movements and giving early warning of attempts to create settlements. Most of the women have had tough lives, struggling to raise children on their own after their partners and husbands abandoned them or were killed in tribal battles, yet all say working as a Mama Tembo has given them a new lease of life. Even patrolling up to 10km a day in the scorching African sun doesn’t seem to phase them. To read more about Save The Elephants’ corridors project, click here. To donate to Save The Elephants, click here.